Samsung is expected to introduce the Samsung Galaxy Note 3 at IFA 2013 in Germany on September 6th or 7th. According to The Korea Herald, Samsung has decided to go with a 5.7-inch display as opposed to the previously-rumoured 5.9-inch screen size, likely for a more modest chassis change over the Galaxy Note II. The Samsung Galaxy Note 3 is also expected to run a Snapdragon 800 SoC and 3GB of RAM, along with a full 1080p screen resolution and 13MP camera, both of which debuted on the popular Galaxy S4 flagship earlier this year. As for RAM supplier for the Samsung Galaxy Note 3, Samsung, LG and SK Hynix have been mentioned. Samsung is already manufacturing 4GB LPDDR3 RAM based on a 20nm process, SK Hynix also demoed such RAM chips. The Note series has differentiated itself from the rest of the Galaxy family with the inclusion of a pressure-sensitive S Pen, which, in addition to the larger screen size, can be used for taking notes and annotating documents. Despite initial industry reservations, the Galaxy Note has proven to be a hit with consumers: estimates put sales of the Galaxy Note II at above 5 million units. Early September is also around the time Apple is expected to unveil the iPhone 5S, so back to school expectations will be high this year. 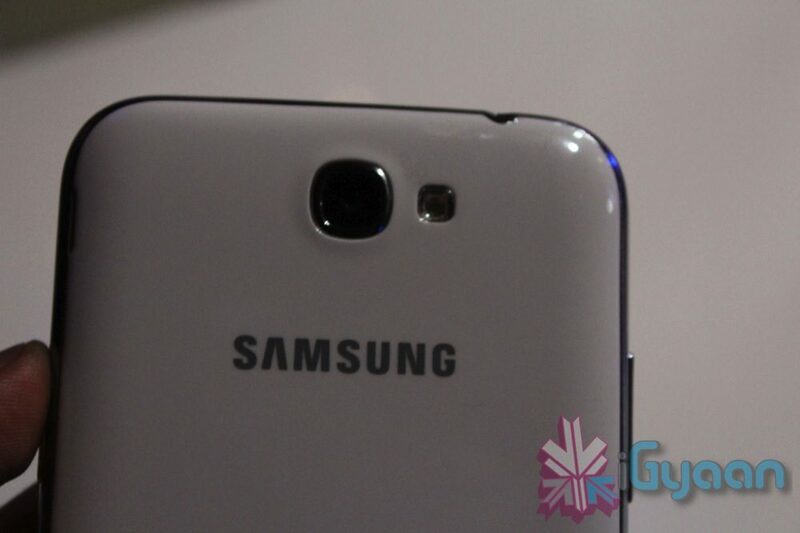 The Samsung Galaxy Note 3 will not be Samsung’s largest smartphone, though. That title is held by the 6.3-inch Galaxy Mega, another category introduced earlier this year.